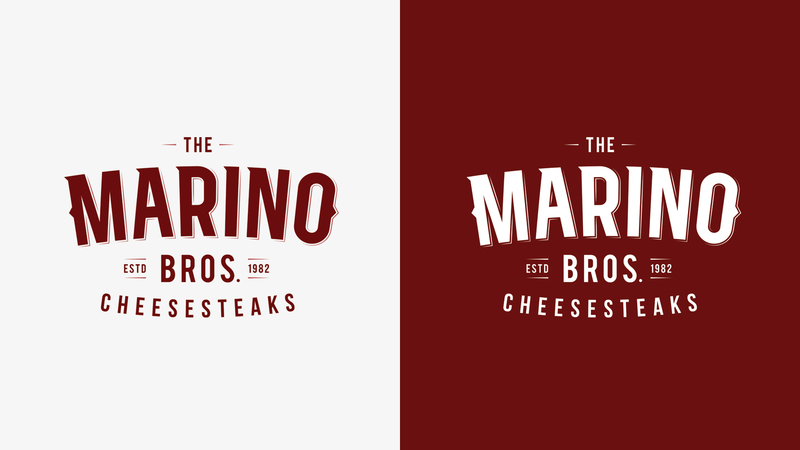 The Marino Bros. opened their own cheesesteak shop after coming to Philadelphia from Italy in 1982. 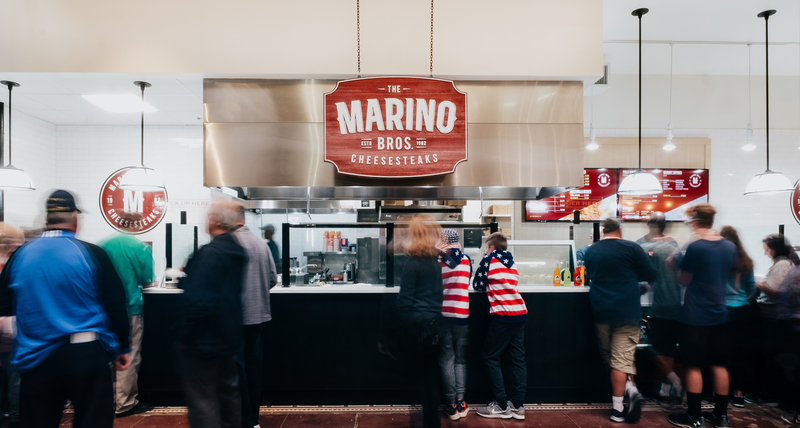 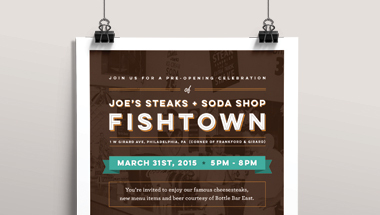 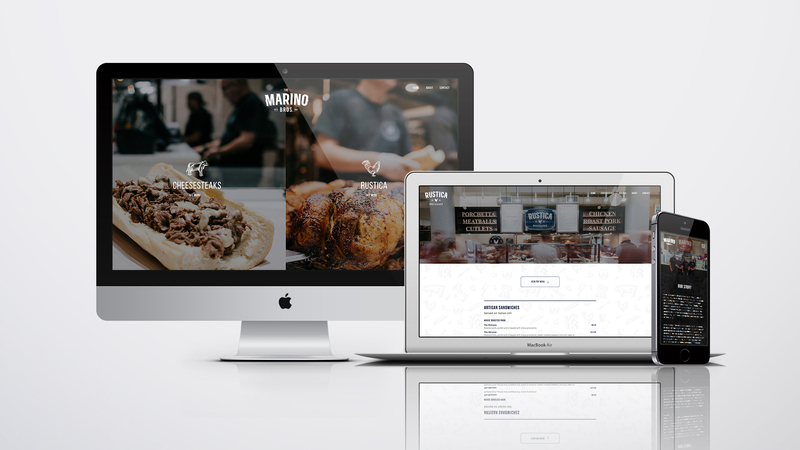 In 2017, the Bourse Building, where the Marino Bros. shops were located, underwent a complete renovation, and they came to Neff for help rebranding their cheesesteak and rotisserie shops along with a new website and updated storefront and menu designs. 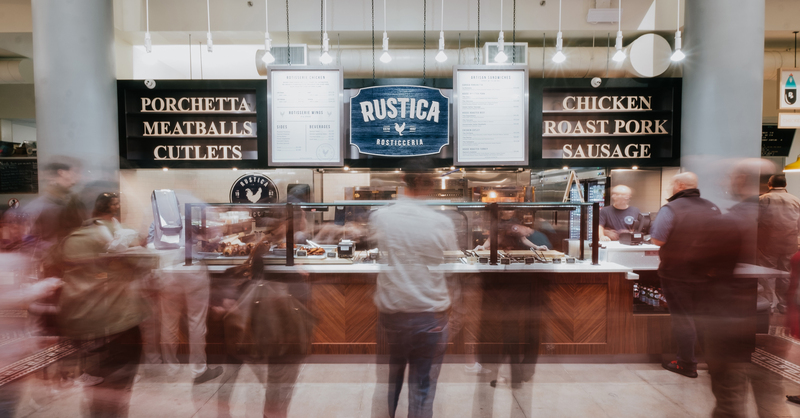 In designing the brand, it was important to create a more unified and modern look while still maintaining a style that reflects the artisanal feel of the storefronts incorporated into the new design of the Bourse Building. 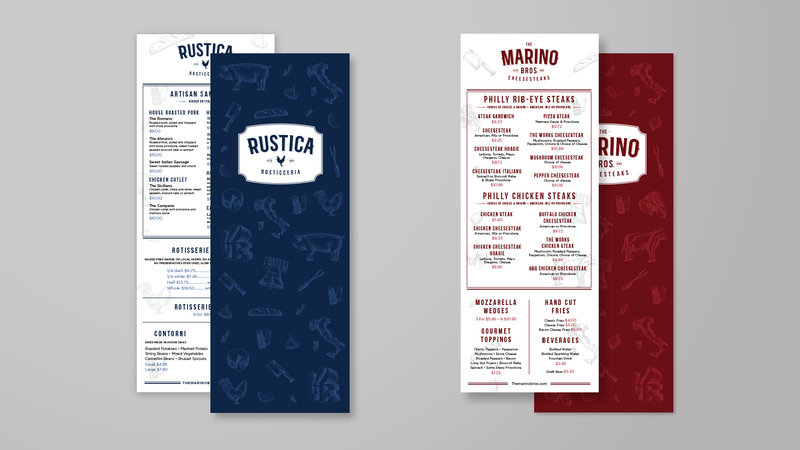 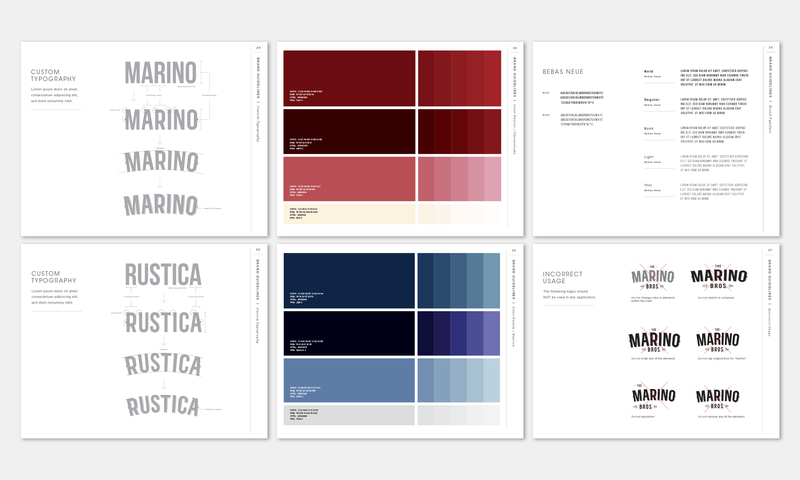 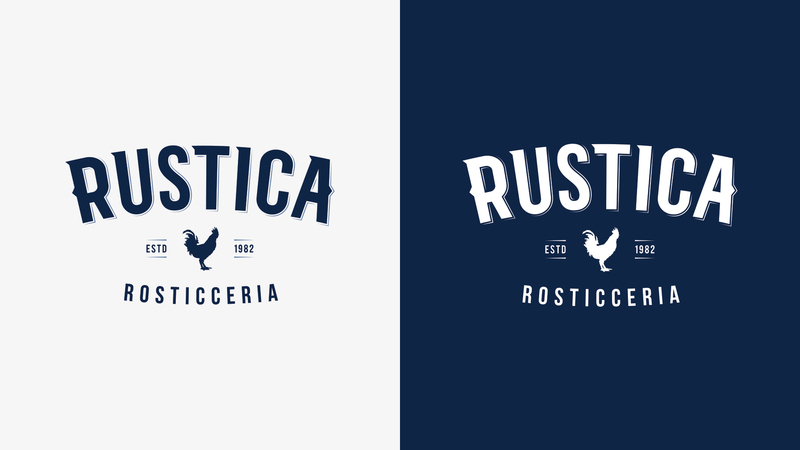 We accomplished this with custom typography that features artisanal details and a rustic deep red and blue color palette to complement each sub-brand. 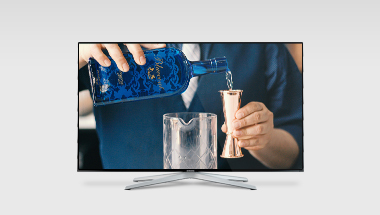 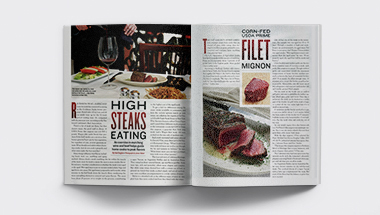 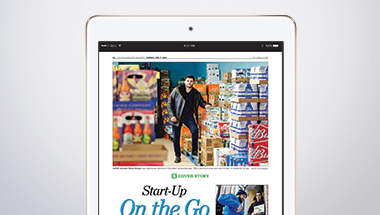 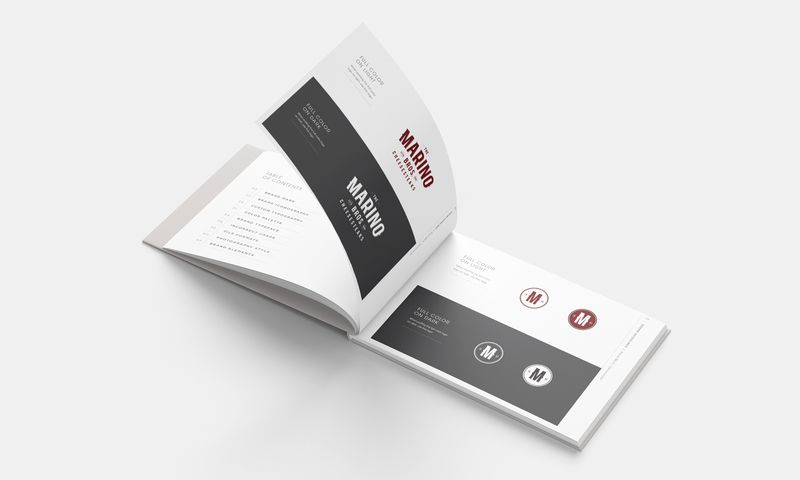 The print menus also feature custom illustrations to complement the brand. 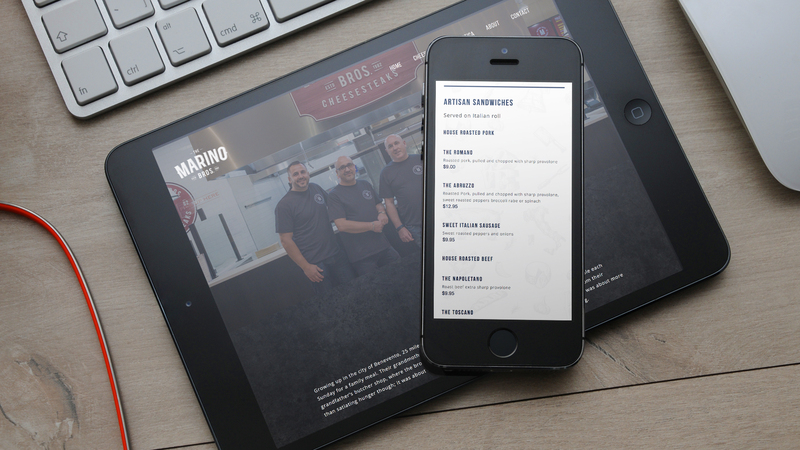 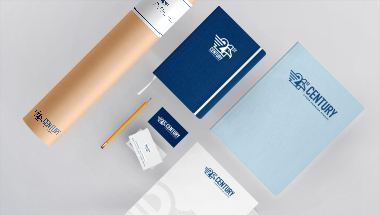 The brand elements used in the logo and print collateral were then applied to the website in a cohesive and user friendly design, with a bold look that directs easily to menus for each location and information about the brothers and their story. 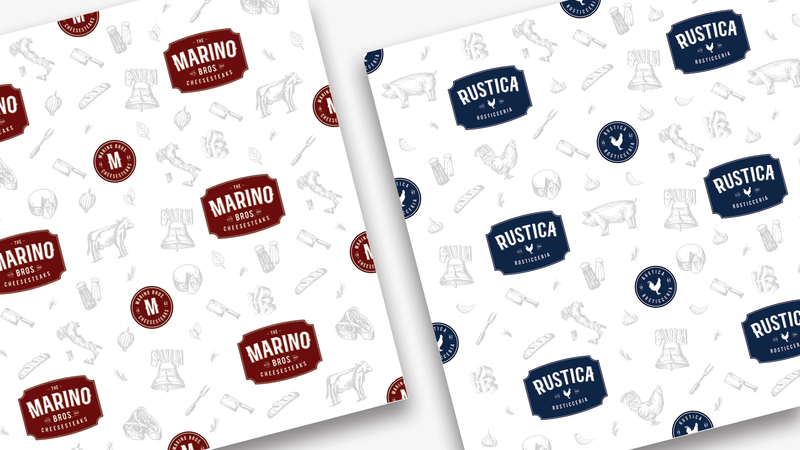 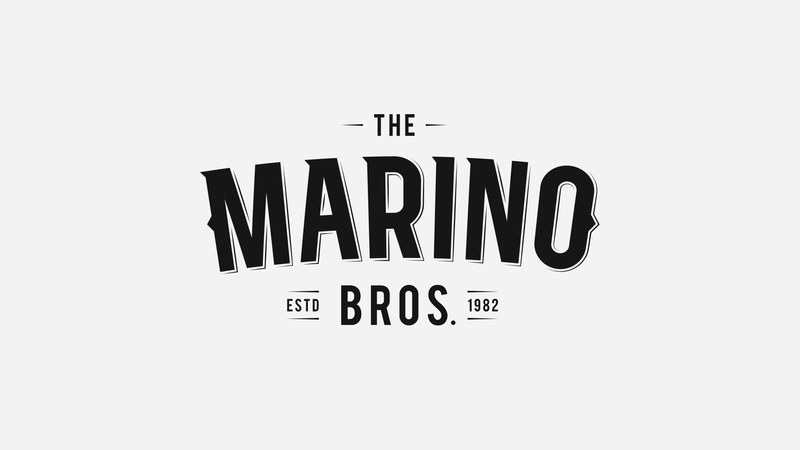 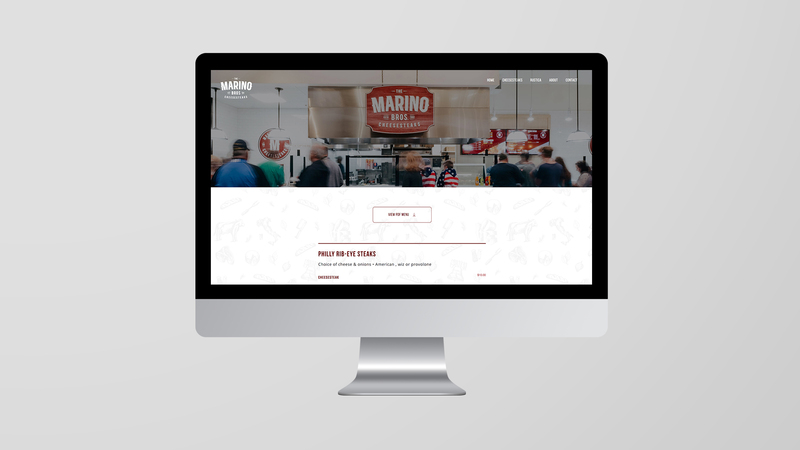 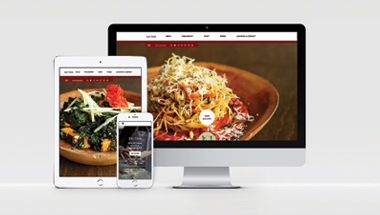 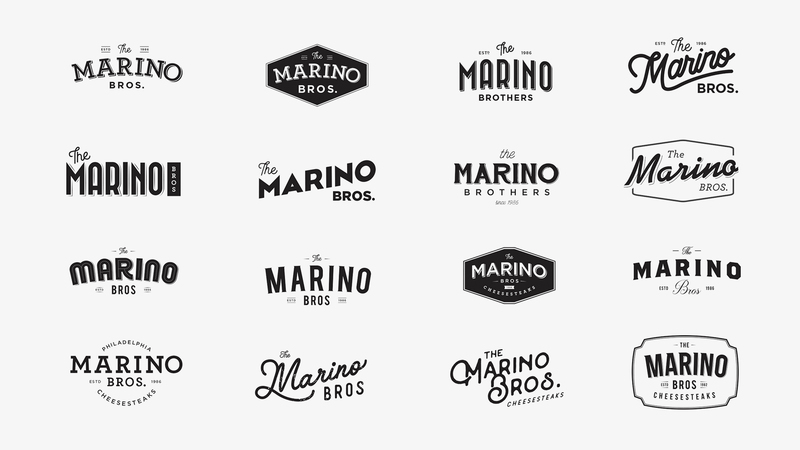 The website utilizes high quality photos that we took of the space and the food to capture the look and feel of The Marino Bros. and their products.